Amid widespread doubts of the election’s fairness, Congolese people lined up to vote on Sunday morning in the capital city only to be faced with nonexistent voter rolls and torrential downpours. The election presents this enormous country with its first chance at a peaceful, democratic transfer of power since its independence from Belgium in 1960. But voters in the neighbourhood of Limete, an opposition stronghold, were still waiting in the soaking rain three hours after polls opened because voting rolls hadn’t yet arrived. 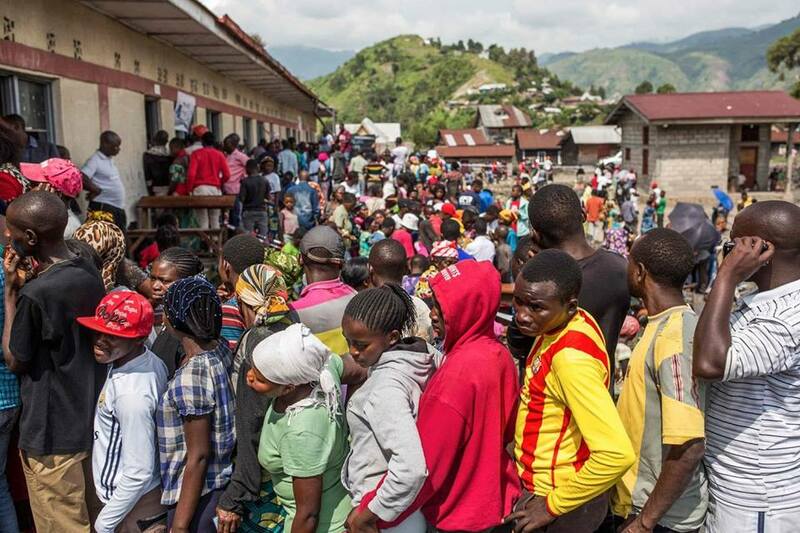 This election was initially scheduled for 2016 but has been delayed more than two years by president Joseph Kabila due to unrest around the country and the logistical challenges of delivering voting materials when much of Congo lacks even the most basic transport infrastructure. The delays allowed Kabila to stay on far past his constitutionally-mandated two-term limit. More recent developments have also contributed to a lack of public trust in the integrity of the vote. 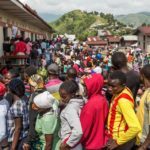 Just four days ago, voting was called off in three cities due to ethnic unrest and an Ebola outbreak that has been spreading for four months already. More than 1.2 million voters were disenfranchised by the move. Beyond Kinshasa, reports have flowed in of polling stations that still lack various materials, from the electronic voting machines that are in use for the first time, to ballots and voter rolls. Congo’s election commission has not responded publicly about the absence of material. On Saturday night, the eve of the vote, the three main presidential candidates were summoned by election observers to sign a document promising peaceful conduct. The candidates could not reach an agreement, and only the election commissioner and Kabila’s chosen successor, Emmanuel Ramazani Shadary, ended up signing. The observer mission, from a group of Southern African countries, is one of the few that was accredited. It ended its mission after the failure to broker the accord. Shadary is not a household name in Congo, and his low profile has been read by many diplomats and analysts as purposeful — a way for Kabila to indicate that he will continue to hold the reigns should Shadary win. Kabila has strongly denied those rumors. Fayulu has the support of two regional heavyweights, one of whom is Jean-Pierre Bemba, previously a militia leader who was recently acquitted by the International Criminal Court for allegedly ordering his soldiers to commit war crimes. A second opposition coalition is led by Felix Tshisekedi, who has teamed up – to the consternation of many of his supporters – with Kabila’s former campaign manager. Whoever wins will inherit a country with vast potential wealth in mining reserves, agriculture and hydro power, but also racked by ethnic and political violence that has particularly affected the regions of Kasai and North Kivu. The potential for the rapid expansion of the Ebola outbreak, now the world’s second largest, has also caused worry far beyond Congo’s borders. Violence may also stem from a vote perceived by many to be manipulated. Protests have already flared in the city of Beni, where voting was called off due to the Ebola outbreak. On Thursday, opposition supporters in Beni, angry that Ebola was used as a reason to disenfranchise them, ransacked a treatment centre, sending 24 patients fleeing. Security forces dispersed the protesters with live rounds and tear gas. On Sunday morning, protesters in Beni staged a mock vote under close watch by security forces. In Limete, which leans heavily toward Tshisekedi, voters promised to remain peaceful but only if voters’ rolls showed up soon. “We are here getting drenched, but we can accept that. What we cannot accept is not being able to vote,” said Emide Ngamale. Provisional results are expected in a week, according to Congo’s election commission. In Kinshasa’s Lingwala neighborhood, which in the past has sided with Kabila’s ruling party, the mood was more buoyant. Dadiya Mawazo said the only hiccup in her voting was that her name was written in lowercase letters on the voting roll and she has poor eyesight. When Mawazo was told about the trouble folks in Limete were having, Tchak’s Lukusa, who was standing next to her, chimed in. “People in Limete should be patient,” he said.